This photo redefines the meaning of ‘tuck-under parking.’ Soft first stories like this one are a menace the world over. They are often found in buildings with ground-floor parking or retail space, with spindly columns and inadequate shear bracing. Because most seismic motion is side-to-side, to resist collapse a building needs diagonal bracing or shear panels. 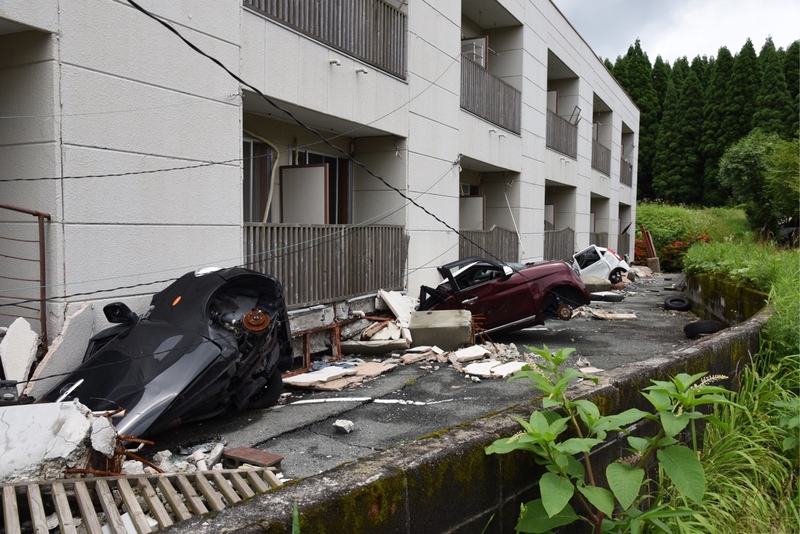 Fortunately, no one died in this Kumamoto apartment building. But no one drove away, either. So, if you live or work in earthquake country in a building with tuck-under parking: Move.